Hello everyone, I hope you're all well. Today isn't a review or a haul, its more of a reflective post that I wanted to share with you all, on what I learnt from not buying makeup for a total of seven months. In some ways it sounds so over-dramatic, it's not like I went 4 years without buying it (ha! as if! ), but for someone who keeps up with blogs and youtube, not to mention runs her own beauty blog I have to say its an achievement I am proud about! I explained in this post why I chose to stop buying makeup for a while, it was initially meant to be till I turned 21, but I did end it one month early. Needless to say I learnt a couple of lessons over the many weeks, that have certainly impacted my buying decision for now and the future. 1. Regularly rotating your stash is the ONLY way to get the most out of all your makeup. 2. No more buying budget eyeshadow palettes for me. When I first started my blog I was smitten with drugstore products and determined to find the best ones out there. However over the last couple of years, especially when I began boycotting brands who fund zionism, my focus shifted to higher end brands. 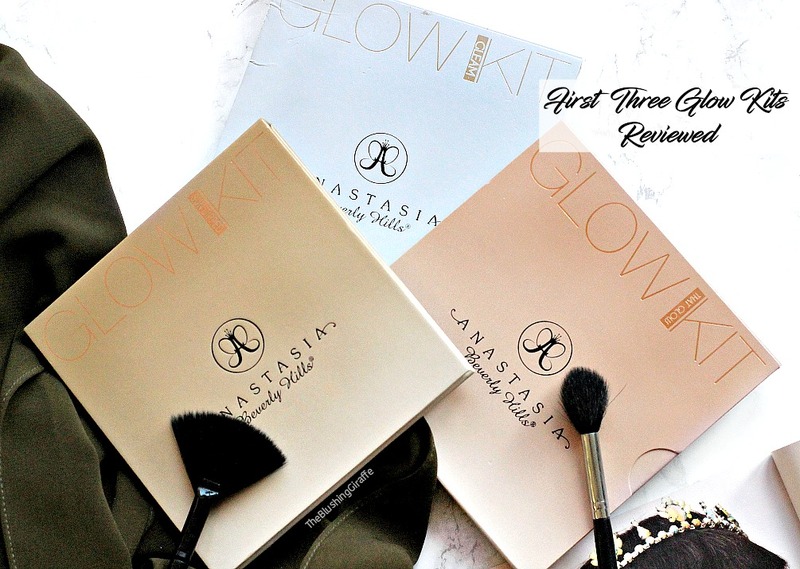 I began to realise that sometimes you really do get what you pay for and although I still LOVE certain budget products, I have definitely becoming more of a high end girl. Looking through my collection of makeup, I've realised how many budget eyeshadow palettes I own, especially from the brand revolution. Although I still adore Sleek makeup (which was the first brand of palettes I got into), I've decided to stop buying drugstore eyeshadow palettes unless I am TOTALLY in love with most of the shades there..and even then it would have to be major 😍😍😍. This is because I've invested quite a bit of money in my MUG and ABH palettes, and I have a nice collection of Too Faced palettes too. I have used palettes and shadows of very high quality and I absolutely love that they last all day, don't crease and don't fade, unlike a lot of budget brands. So as far as eyeshadow palettes are concerned, I'm no longer going to be spontaneously picking up random ones here and there, because I've realised I just prefer the quality of high end better. 3. It is totally worth waiting at least a month, before purchasing something that has caught my eye. I admit it. I am an impulse buyer. Before this long long break of not buying makeup, I would buy almost anything that I wanted. Not super pricy stuff, like the £60+ zoeva eyebrush kit, but pretty much most things that caught my eye. And when one reads blogs on an almost daily basis, this becomes an expensive impulsive habit! So when I was on my seven month ban, there were multiple times where I read, watched or saw something and literally reached for my purse or felt my fingers itch to order it ASAP. But then I remembered that I had declared upon ze blog that I would not be buying makeup and I quickly, if a little reluctantly exited the window and got on with my day. And within a week or two I ended up realising that actually I didn't really need, nor want the product which I was so close to impulsively purchasing! 4. Look through your collection and figure out what you actually want, rather than blindly purchasing products that just look good. This is very much related to the point above and it's something that I just wasn't doing enough. 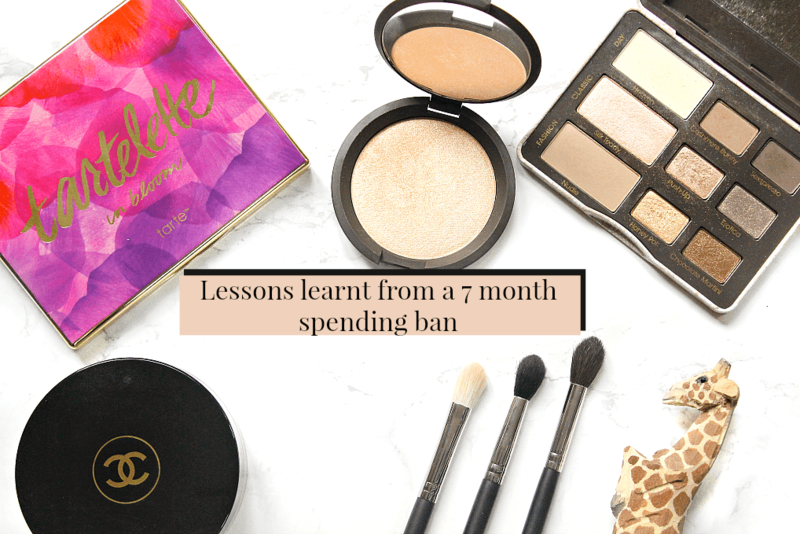 Most people won't have this issue, but I'm sure my fellow bloggers can relate that before long you have a tonne of products, and to be honest being overwhelmed by my collection was one of the reasons I decided to go on the ban in the first place! However that doesn't stop the love or need for purchasing and trying new products. So the solution to this dilemma? Go through your collection, note down what you own, declutter and get rid of the things that you bought too long ago. This will help you keep control of what you own and then you can make a mental note of what you're actually lacking, or what you would like to try more of. For example, I have decided I've tried more than enough budget concealers to know what works and what doesn't, however I'm still yet to find my perfect under-eye corrector. So that is what I'll be on the hunt for! 5. No more buying lipstick shades just because they're on a great offer..or because maybe one day you'll reach for that shade. Oh my goodness, the amount of lipsticks I own is shocking for someone who gravitates to towards the same shades all the time. I have a shocking amount and the love for liquid lipsticks that I have, means there is NO sign of my collection stopping its growth. In the past I have taken advantage of lots of offers, just because they were a good deal and I've ended up with shades I literally just swatch. I'd never wear them out of the house, but I picked them up thinking 'yippee, I got such a great deal!'. I'm not saying that I'm going to stop hunting for great deals, definitely not! However I am going to be a lot more careful about what I pick up now. In the past couple of months, whilst I've not been buying makeup, I've actually been looking into shades I really want to get my hands on. Like the point above, if I keep thinking about that shade I know I actually want it, so I write it down onto a wishlist. Since the ban has been over, I've had the opportunity to purchase a couple of them (for example 'committed' from The Balm) and I have been over the moon with it ^_^ So aside from my large colourpop order, I am no longer going to purchase shades that I'll rarely pick up, like purples, blues, greens etc. They might be fun to mess about with, but they're kinda a big waste of money and space ._. 6. Be weary of 3for2 deals - yes they're awesome, but don't rush into buying stuff just because. I LOVE me a good 3for2 and boots do it best! However I realised whilst on my ban and when going through my collection, that the products which I disliked or felt eh about, were the ones added spontaneously to the basket during one of these offers. So again, very much linked into my new kind of attitude around buying makeup, I've decided to start writing things down that catch my attention. If there is a special offer on, such as a 3for2 involving something I've written down, then I'll take advantage of the offer...if not, then keep in mind there will always be more in the future. I don't know what it is about a special offer which causes me to lose my common sense and pick up things just because they're on a great deal - but it has to stop and I think I've finally curbed this issue! I am always up for online shopping when I read the words 'free delivery' and to be honest there is not much more that irritates me than being charged more than £2 for post and packaging. For example, guru makeup emporium charge around £4.50 for a light delivery, which upsets me very much. But as much as this upsets me, I've come to the harsh reality that a lot of the things which I don't care for in my stash, that are pretty much just gathering dust are things I picked up for the sake of getting to the free delivery criteria. Not to mention that I start off my online shopping 'trip' with the intention to purchase one or two items, but end up getting a lot more and spending £30 here, £30 there...it adds up. The result is an angry bank account, a lack of savings and to be quite honest a bunch of things I never needed or wanted. It took a long break from buying makeup to bring me to this realisation, so from now on, if I really want something I'll just pay the postage and purchase that alone. In the long run, this will keep my spending on track and my collection of makeup under control. Win-win! So to conclude, going on this extensive seven month ban from buying makeup has taught me so much! It has allowed me to see the mistakes I was making when shopping online and also how to save more money whilst still being able to try new products too ^_^ I don't feel the need to put myself on bans anymore, which is a change as when I've looked through my previous blog posts over the years I've always had a pretty negative way of thinking when treating myself. Thats because I had no idea how to get a good balance, but this ban has helped me to get that totally under control. I feel good about purchasing new makeup, knowing that I'm a lot more careful with the products I actually choose to pick up! What are your thoughts on going on a makeup buying ban? Are they successful for you?